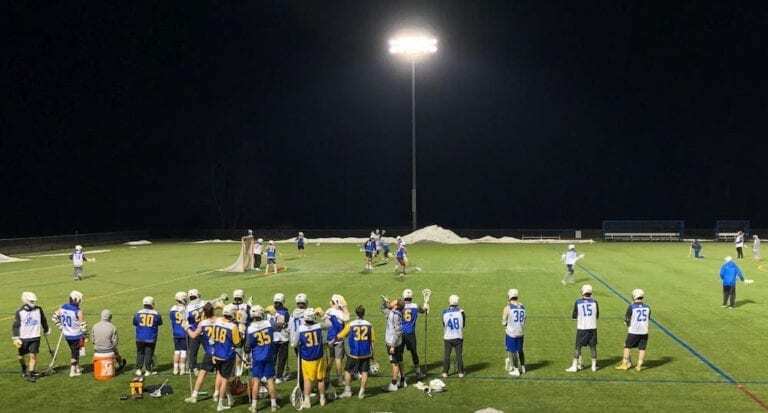 Last time, the Junior College Report got caught up with big news from 2018, and laid out some basics on 2019 like important dates, OCC’s coaching change, scrimmage info and more. It was really a pre-preview. This time I’m going much deeper into the 2019 season itself, how programs are looking early on, what we might be able to expect as the season kicks off with big news, an early junior college top ten, and plenty of team-by-team previews and players to watch! 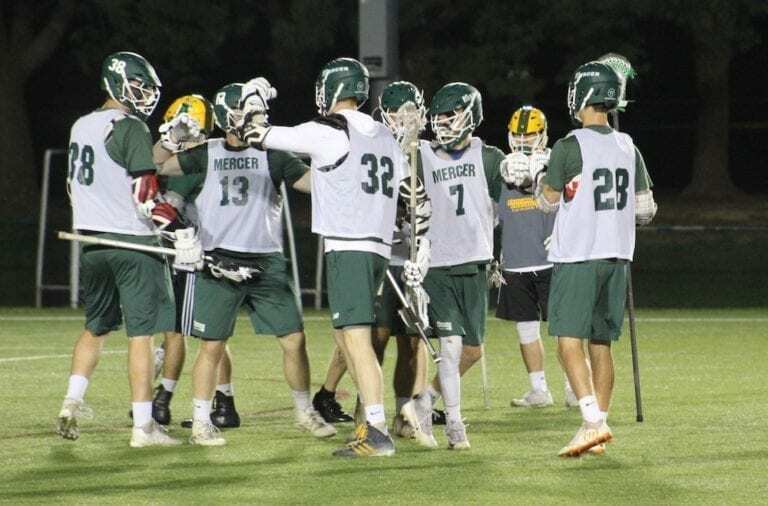 I got confirmation this past week that Mercyhurst NE has officially canceled their slate of games for the 2019 men’s lacrosse season. They had a great coach in Eric Miccio, but when he took the Onondaga head coaching position it’s clear that MNE could not fill the void quickly enough that he left to field a team for 2019. That being said, a former OCC standout player and NCAA Division III defensive coordinator, Logan Tousaw, is now at the helm as head coach and the team is practicing, recruiting and building, so hopefully in the near future the program makes a full comeback and starts playing games again. 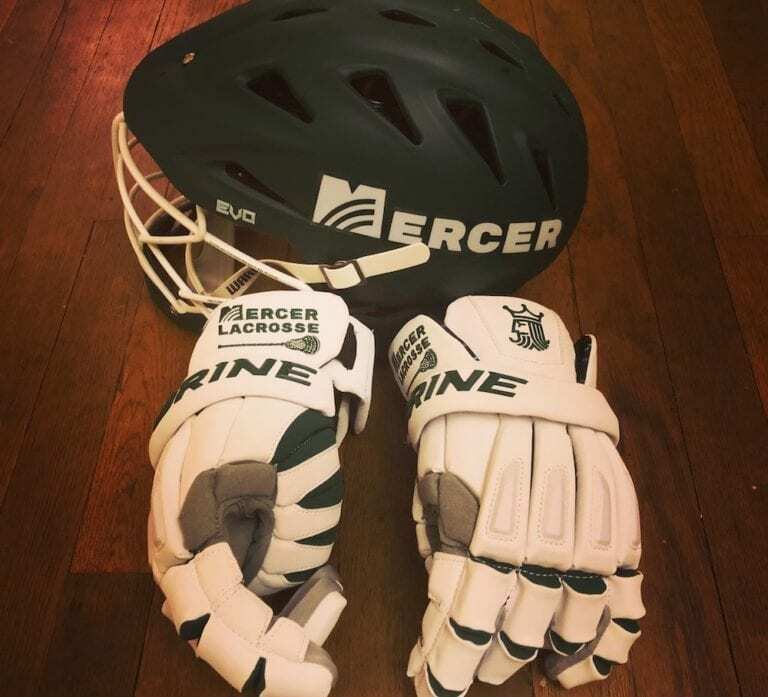 We wish any and all players or people associated with the team the best of luck moving forward, send our best wishes to Coach Tousaw as he rebuilds the program and sincerely hope to see Mercyhurst NE back on the field playing games again soon. Usually I just supply the NJCAA Top 10 poll in this space, but since it’s not out yet, I’m coming up with my own pre-pre-poll. These are my Top 10 teams, with a little info on each one. For even more info on even more junior college programs, keep reading as we get into team by team previews below my pre-preseason Top 10. Remember, this is just for fun. The actual games are what matters. 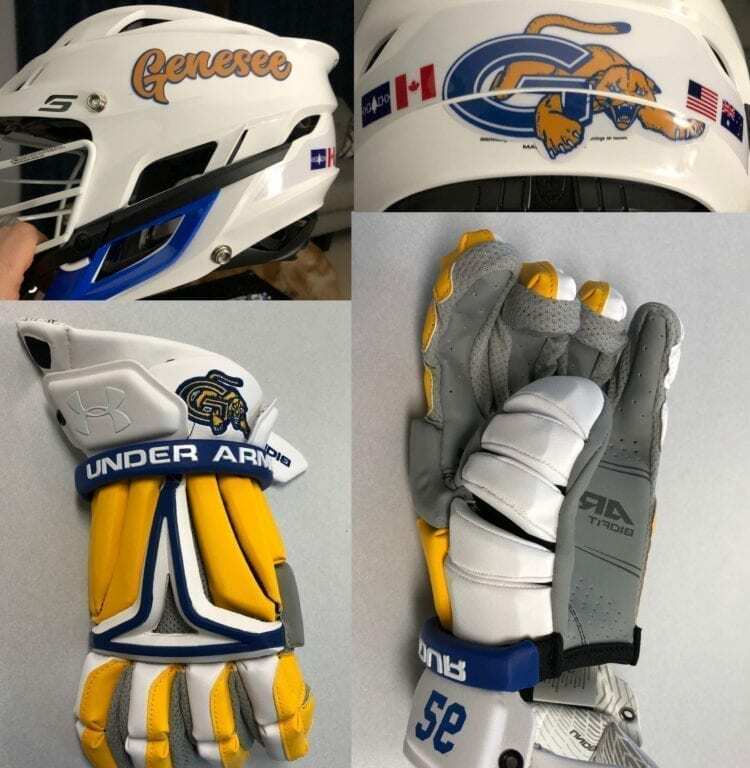 Onondaga – I’m a big believer in last year’s national champ earning the preseason #1 ranking regardless of who they graduated or what happened, so they are obviously taking the pre-pre-poll No. 1 spot. That being said, Onondaga would own this spot even if all this weren’t the case. We’ve all seen Game of Thrones and we know how this works. LONG LIVE THE KING (until someone kills them and takes their place, then long live that king)! But OCC is back, looking as strong as ever, and a clear cut No. 1 right now with talent, depth and lofty expectations. Nassau – In all fairness to the NCC Lions, I believe they can be a No. 1 ranked team this year. Nassau is looking consistently strong under Coach Savage, with fantastic numbers, interest and depth of talent, and the program is on the right track towards long-term consistent success at the highest levels. I don’t expect a let down out on Long Island as Nassau quietly grinds away. They were so close last year, they have to be hungry. Howard – Howard lost a good deal of talent from last year’s team, and sent a couple of their guys to big time Division I programs, but every team loses great players every year – the question is can you reload? Coach Foust and company have found a way to do that year in and year out, and I’m thinking 2019 is going to be another one of those years where they are comfortably in the top four for much, if not the entirety, of the season. In 2017 Howard made the finals, and by the end of 2019 they could make a push for their first title ever, but there is work to be done between now and then. Genesee – The Cougars are always intriguing, and this is a team that tends to improve as the season goes on. A loss by seven early on will be a loss by one later, or even a win. They are like a fine wine – they get better with age. GCC has proven that they may not start at the absolute top, but Coach Hoover’s crew certainly can finish there, as they did in 2016 winning their first title ever. Genesee starts in my personal pre-pre top four with relative ease and an early loss isn’t the end of the world for this team. The benefit of playing in Region 3 is that you get plenty of good games and GCC tends to pack in a lot of good wins later in the season. It works, and come playoff time the Cougars are usually raring to go. 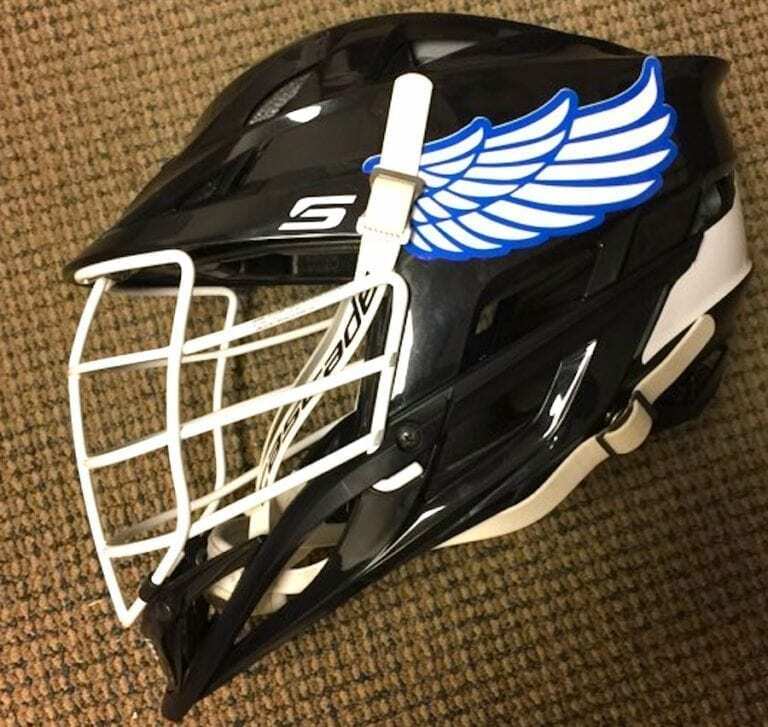 Harford – This program has really stepped it up as of late but the question remains – can they make the jump to playing during the final weekend of the season and edge their way into the elusive top tier of junior college men’s lacrosse? 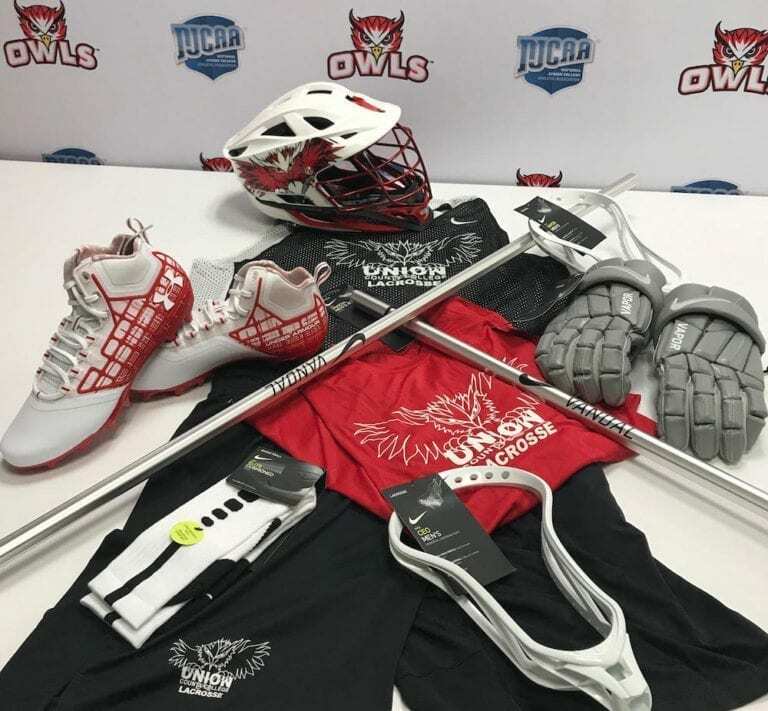 It’s not easy to break into the truly upper echelons of the junior college ranks, but the Fighting Owls are sitting right on the cusp. Is 2019 the year? Recruiting has been a priority and this is important for depth and year-over-year success. Bring in a couple gems and see some freshmen growing into bigger roles as sophomores and Harford is potentially right there. This is a big test year for this program and excited to see how this rise to the challenge. Anne Arundel – AACC has been solid as of late, but has also been sitting behind OCC, Nassau and others for too long. They won a title in 1998 and played in the finals in 2000 but haven’t reached the same heights since. However, there does seem to be an energy at Anne Arundel this year that has me excited to see what they can do. It’s no easy road in the South, but it’s easier than fighting through the big three in the North and there is plenty of local talent out there. Monroe – MCC faces a big test as they moved up into the Top 10 last year, but staying there is never guaranteed. Coach Church will need to bring in a good group to keep the success coming and continue to climb the ladder but he’s extremely capable, and the Monroe Women’s team is lights out, so success at the school is achievable. It makes Monroe a team to watch for sure, but the challenge of OCC, NCC, and GCC up North make it a hard road for the Tribunes. CCBC Essex – This is a program that played in the title game back in 2015 (and 2011 and 2010), so do not count them out even if the last couple seasons haven’t seen quite the same levels of success. Essex returns more players than most teams do, as they were heavily rostered with freshmen last season. I see a bounce back for Essex, maybe not to a national title game, but back into the Top 10. It’s a pre-pre-poll, I’m allowed to make some “out-there” predictions, and this is one I’m going with. Suffolk – Suffolk could face competition in Region 15 from newly active ASA but for now they look like a solid Top-10 team with potential. I am beyond curious to see what Tim McCabe is able to do with the Suffolk program in both the short and long term. There is talent locally, can McCabe make it work? There have usually been a number of stellar players at Suffolk, but overall depth can be an issue, especially if injuries hit. With a larger roster, Suffolk may be able to weather these issues better and climb higher into the Top 10. A great Nassau-Suffolk rivalry game would do NJCAA a lot of good out on the Island and in general. That’s just a classic county game. I’d love to see it go to OT sometime in the next few years. Mercer – For my No. 10 team I like to take a risk, have some fun, and do something a little weird. After all, it’s a pre-preseason poll from a sportswriter and it doesn’t really mean anything… but after a full year of practice, I’m beyond curious to see what kind of product Mercer puts out on the field, so they are my wacky No. 10 pick for 2019. Did I pick a brand new team for the No. 10 spot? Yes, yes I did. Does this put an unnecessary target on Mercer’s back? Also yes. Will Ocean or Delaware Tech take this personally? Probably, but it’s a trial by fire and Coach Siris has had a full year to prep, so I’m sure he’s up for a little additional pressure! Maybe I’m wrong, or maybe I’m a genius. Only real games will tell, but it looks like there is some talent in West Windsor, NJ. Other teams I’m keeping an eye on: All of them! Prove me wrong and become a Top-10 team this year – I’d love to see it! I’d expect to see a good deal of movement outside of the top 4-5 teams, and a number of programs could spend some time in the Top 10. There is a lot of potential for a number of Region 3 teams especially as the overall quality and depth improves, but any team can schedule big games in such a small overall grouping, and that means any team can earn a big win! Playing in the NJCAA can be a bit of a circular firing squad (meaning that the opportunity is there to play plenty of top level teams) but there is also no better way to get noticed. 2019 Players to Watch: All four of the captains listed above are excellent leaders, but they can also play the game at a high level. In addition to those four, look out for Colin Hinton (D), Steve Moheiser (M), Caleb Nash (A), and Chris Greenstein (FO/LSM). 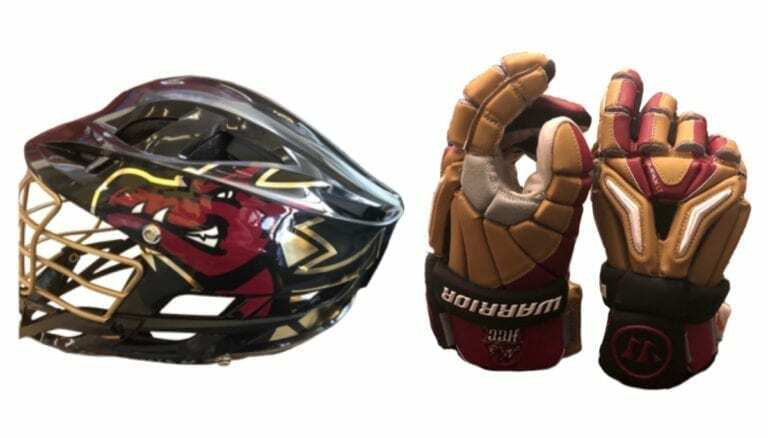 And as a bonus, here is the 2019 AACC helmet. It’s pretty simple, but it’s also pretty gosh darn glorious. Love it. 2019 Team Captains: Team captains are not usually ‘named’ at Union, which is a different approach to leadership from Coach Roussey and… I LIKE IT! Three players that will likely take on this role are Greg Scaturo (A), Anthony Gargilis (D), and Allen Melick (D). 2019 Players to Watch: Greg Scaturo is definitely worth keeping an eye on. 2018 players now playing NCAA: None, as Mercer is a first year program! Big fan of this set up for Howard. Practice gear (L) and game gear (R) for the Tribunes! 2019 Team Captains: Finger Lakes selects game captains, and not captains for the season, but will likely look to Ryan Ferrini, Mike Dhondt, Trae Papke, and Justin Closser for a good chunk of that leadership core. Quote from Head Coach, David Stein, on his team for 2019: I like this team a lot. Great character. They work very hard. We are excited to play in our new turf stadium. NJCAA Lacrosse on the Internet! 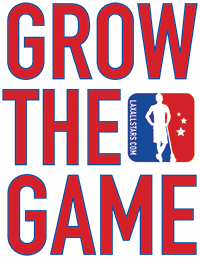 If you’re looking for a little more NJCAA action, here are a couple good social media posts, people worth following, etc, etc. As I gather more info from more junior college teams, more junior college teams will get previews. That’s how it works! Coaches – if you don’t see your team listed, please reach out to me with the info so we can include your program and shine a spotlight on your 2019 squad. More to come next week as the Junior College Report rolls on.